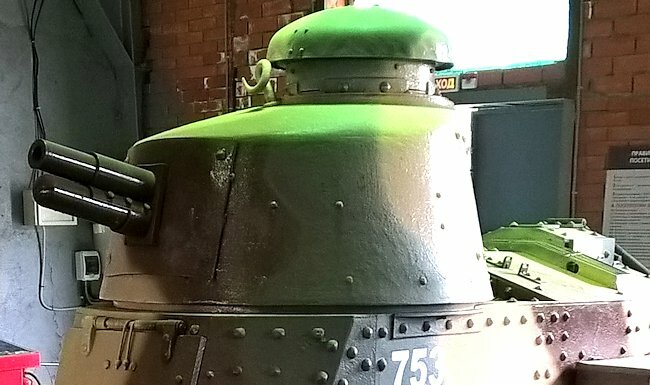 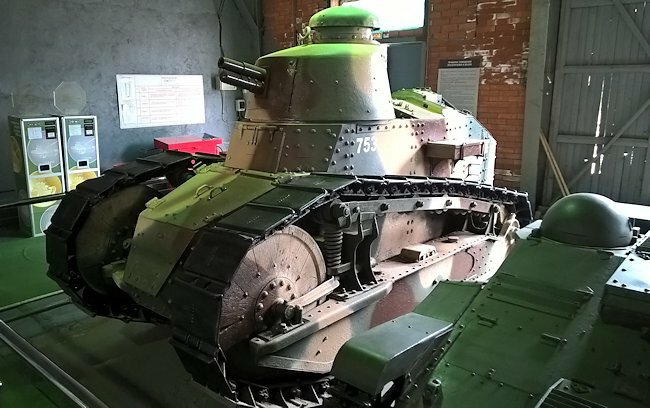 This Preserved Captured WW2 Finnish Army Renault FT Tank can bee seen at the Kubinka Tank Museum, Russia. 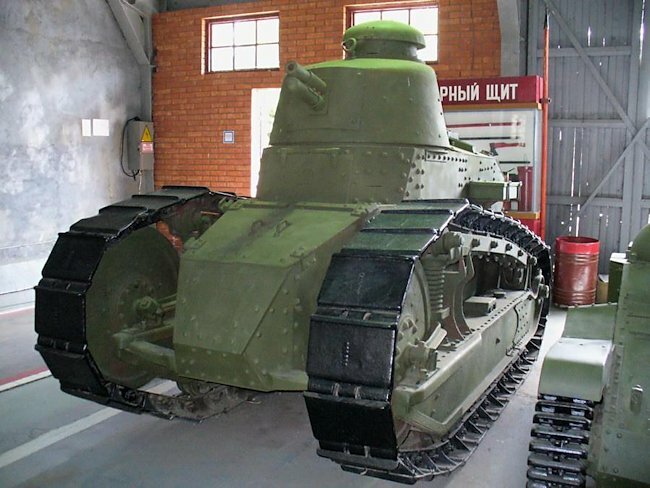 The Finns added a tool box on top of the suspension beam and a curved return roller metal bar along the length of the top section of track where French versions of the tank the bar is straight. 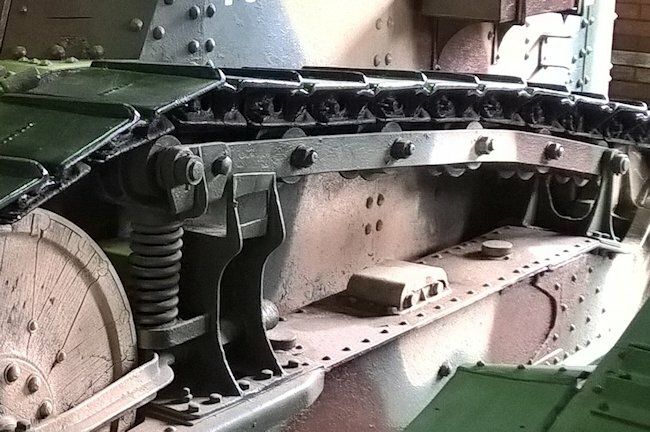 The Finns added a curved return roller metal bar along the length of the top section of track where French versions of the tank the bar was straight.